In a time when Celtic druids roamed ancient Ireland, young Sister Deirdre rushes to hunt down the brutal serial killer targeting her beloved monastery. Someone is killing the nuns of Ireland. The grisly discovery of an elderly sister of Saint Brigid’s monastery strangled, bled dry, and thrown into a bog is just the beginning. Soon a beautiful young nun is found decapitated and hung from a barren tree. It doesn’t take long before the members of the struggling monastic community of Kildare realize that not only are the nuns being hunted by a serial killer, but the murderer is preforming the gruesome slayings in the manner of the ancient druid sacrifices.Set in the turmoil of sixth-century Ireland, where ruthless tribal kings wage constant war for survival and the powerful religious order of the druids is threatened by the newly-arrived Christian church, the desperate task of finding the killer falls to Sister Deirdre, a young women torn between the world of the monastery and her own druidic heritage. 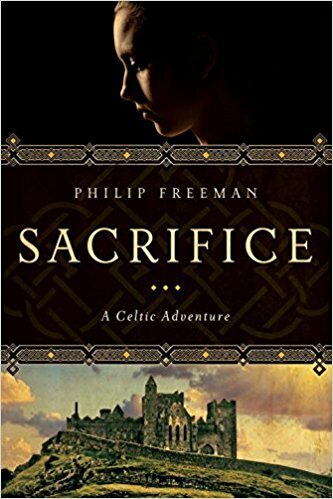 Unless Deirdre can find the killer before the cycle of sacrifices is complete, more of her friends will die, the monastery will face destruction, and the whole of Ireland may be plunged into civil war.